Camaraderie. To foster a strong sense of camaraderie and élan amongst RGR veterans and the Regiment. Reputation. 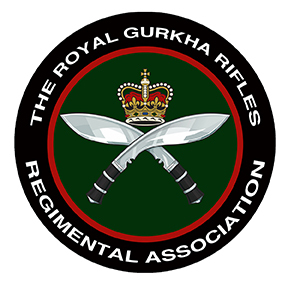 To preserve, protect and promote the good name and reputation of the Regiment and of its members and of Gurkhas generally. Welfare and Benevolence. To act as a line of communication between Members in need and the many sources of welfare support and benevolence. Antecedent Regiments. Maintain the legacy of the antecedent Regiments through close cooperation with all Regimental Associations. Full Members. Full Membership shall be open to serving officers, retired officers, NCO’s on promotion to Sergeant, soldiers in their last year of service in the Regiment and retired soldiers, who were either commissioned, enlisted or transferred into the Regiment or its antecedent Infantry Regiments (2GR, 6GR, 7GR and 10GR). Full members may vote and propose resolutions at Annual General Meetings and may stand for elected office on the Committee or may be co-opted on to the Committee. Associate Members. Any officer or soldier who has been attached or seconded to the Regiment may apply to join the Association as an Associate Member. Such membership will be confirmed by vote at an Annual General Meeting. Associate members may not vote nor propose resolutions nor sit on the committee. Honorary Membership. Widows of full members of the Association may apply to become Honorary Members. In addition, the Committee may invite persons who have strong connections with the Regiment to become Honorary Members. Honorary Members may not vote nor propose resolutions nor sit on the Committee and will pay no subscription.